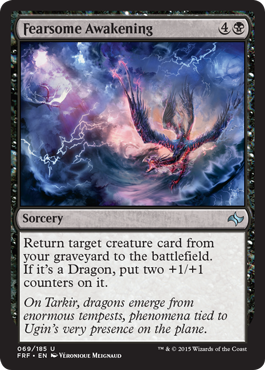 Welcome to the week of the Fate Reforged Prerelease! This week, I'll be going over some of the cards to look for in your prerelease boxes for each clan. 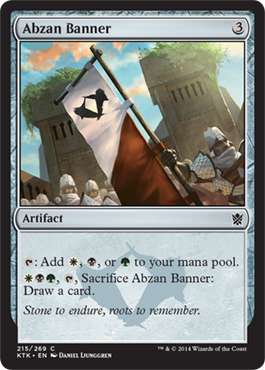 Today, I'm starting with the clan whose main color is white: Abzan. 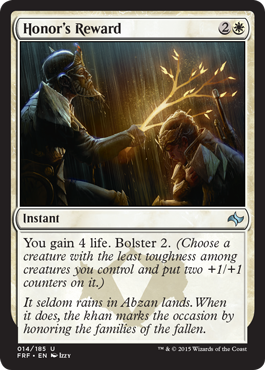 Abzan Runemark will be one of your key boosts for your creatures. More likely than not, you will receive the Runemark for the clan you choose in your seeded booster. 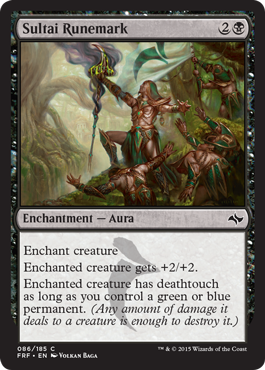 While Abzan is best, Sultai will be useful provided you have green permanents. Vigilance and deathtouch could be quite useful. 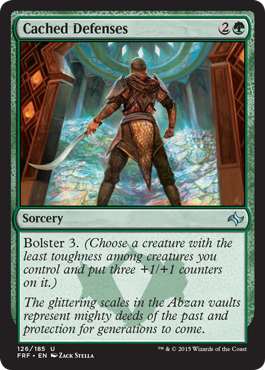 Abzan Advantage will be important to run. There may not be many enchantments in the set, but you could use it to force the sacrifice of a Runemark or other troublesome enchantment. 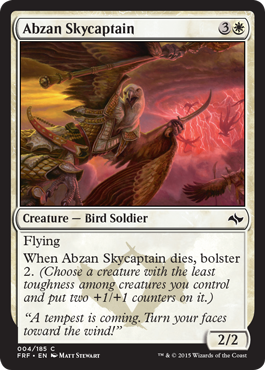 Flying is the great thing about Abzan Skycaptain, but it's much better when you consider that when it dies, you conserve its power and toughness. 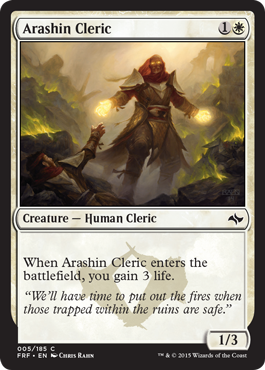 Arashin Cleric is important for life gain. 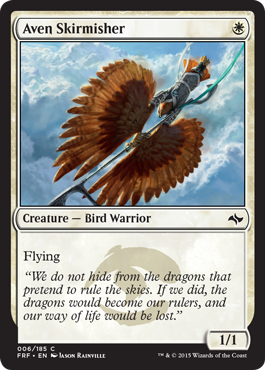 Despite being Jeskai allied spells, Aven Skirmisher and Dragon Bell Monk are important to play with Abzan. Aven Skirmisher is a turn one flyer. Anything with evasion is good and gives you an edge. Dragon Bell Monk gets boosts from spells you cast, which can help when blocking or attacking. Pressure Point can tap down an opponent's largest creature and gain you a card before they declare attackers. Good to have. 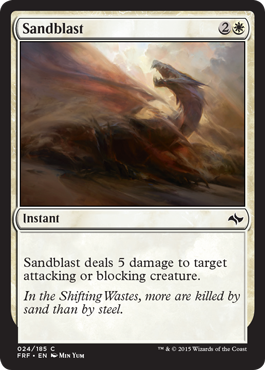 Sandblast is direct damage, something white rarely gets and something useful given that Abzan doesn't have red. For 3 mana, annihilating a threat as it attacks is great. 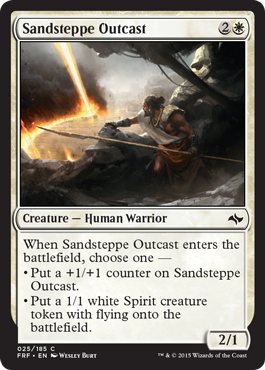 Sandsteppe Outcast is good because it's either a 3/2 or you get a flyer. Again, evasion is good. Use it whenever you can. 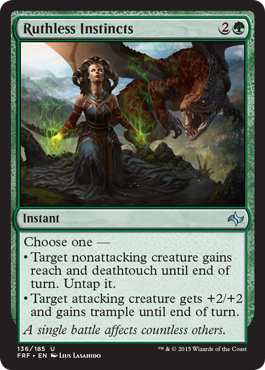 As far as Ancestral Vengeance goes, killing a creature with toughness equal to 1 while permanently boosting one of your creatures, well, that's great. The double black cost isn't too appealing, but with mana fixing, it can work. Direct damage and lifegain. A good spell to have in limited. 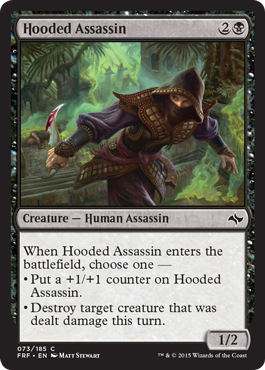 Hooded Assassin, of course, is another important creature with options. 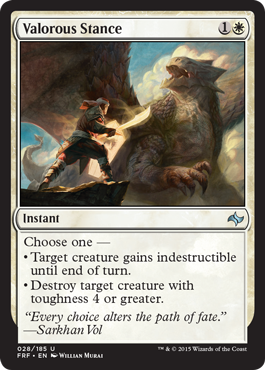 Either a 2/3 or a 1/2 and you get to kill off your opponent's creature. Remember, cast Hooded Assassin during your second main phase or after dealing damage with another spell for maximum effectiveness. Typhoid Rats because a 1/1 deathtouch for one mana is good. Small creatures at lower costs means you start faster than those with high mana curves. 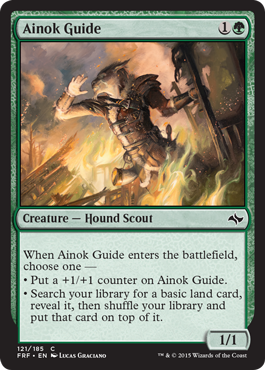 Ainok Guide is either a 2/2 or helps with mana fixing, which if you go with a three color deck (which is the push in connection with Khans of Tarkir), you will need all the help you can get. 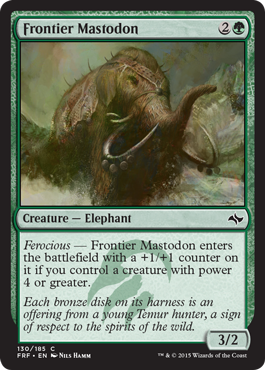 Frontier Mastodon is a 3/2 for three mana or a 4/3. 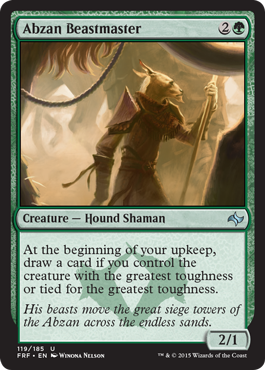 If you can boost one of your creatures enough, you could have a decently large creature. 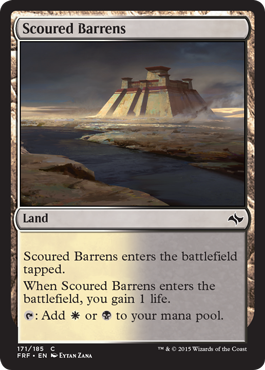 Map the Wastes is for mana fixing. Paired with boosting a creature, this is an important card to play. Mana fixing. 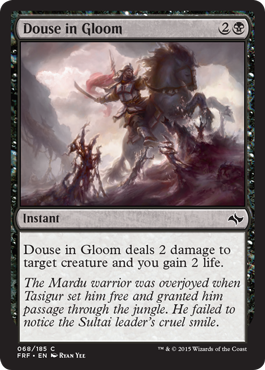 Now, Grim Contest, of course, is useful given that Abzan cares about toughness. Have a creature with a large enough toughness, you could wipe out a threat on the other side. 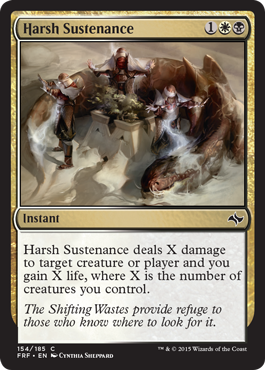 Harsh Sustenance is here for more life gain and some direct damage. You just need creatures, which shouldn't be a problem. Primary mana fixing. Use as many of these as possible in your deck, but don't stray outside of these three if you're going Abzan. 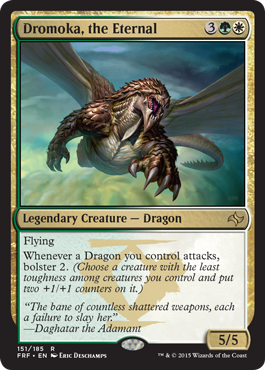 Of course, if you are splashing for a rare or mythic, then run some others, but only the ones that share Abzan's colors. 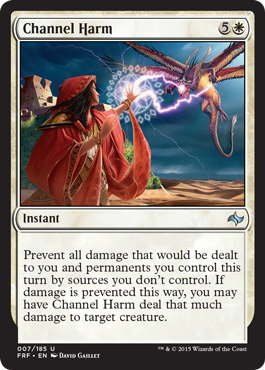 Channel Harm may cost a lot, but with mana fixing and some big swings late game from opponents, taking out a threat is good. Run one, but no more (if you even get another) or hold it for use in your sideboard. Honor's Reward is a cheap life gain spell that boosts a creature. Definitely good to have. Now, there may not be any enchantments, but it also counts itself. 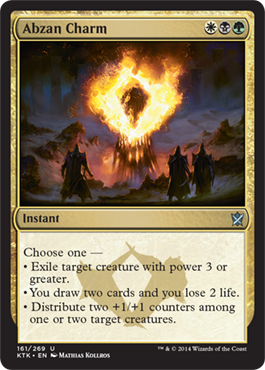 Paired with Runemarks and you can maybe boost a creature by +2/+2 or +3/+3 and draw that many cards. A two mana spell that protects a creature or destroys a creature is great. 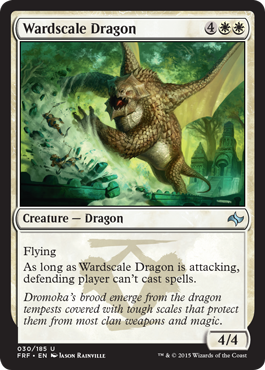 I'm honestly not so sure how Wardscale Dragon will go over, but a 4/4 flyer that stops an opponent from casting spells while you attack can't be too bad. 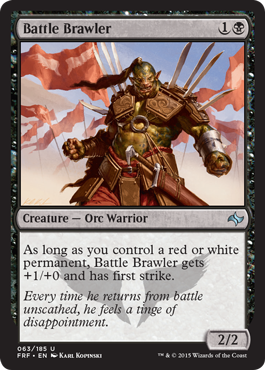 Battle Brawler will depend on you having a white permanent, but if you have one, a 3/2 with first strike is amazing, especially for two mana. 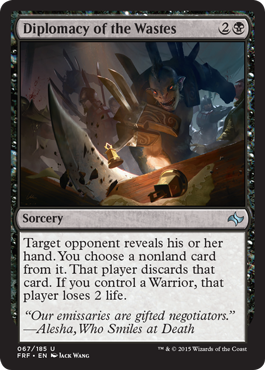 Diplomacy of the Wastes is a more expensive Thoughtseize. It also depends on having a Warrior to be completely effective. 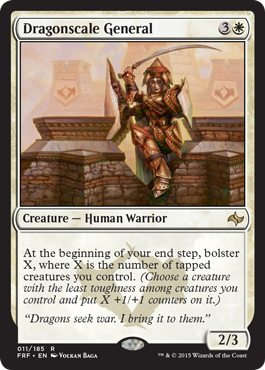 Since you aren't Mardu, run only if you include some warriors (like Battle Brawler). Fearsome Awakening is just to get a creature back from your graveyard. If you run one of the uncommon dragons or are lucky enough to get one of the legendary ones, this is a must play if you get one. 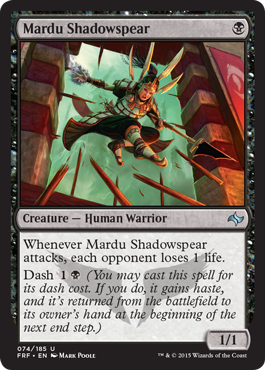 Mardu Shadowspear is a one mana 1/1. That's good, but you can also play it for two mana each turn and give it haste. Seems like a decent option. 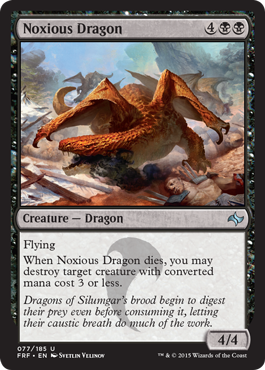 Noxious Dragon, again, has flying and is a 4/4. Being able to destroy another creature when it dies makes it playable. 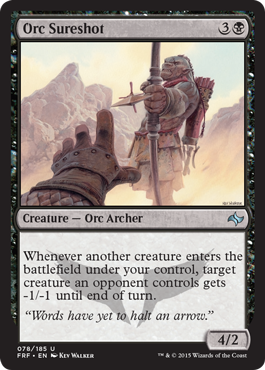 Orc Sureshot can either eliminate small creatures or be great at breaking through enemy lines for some damage by reducing the power of blockers. 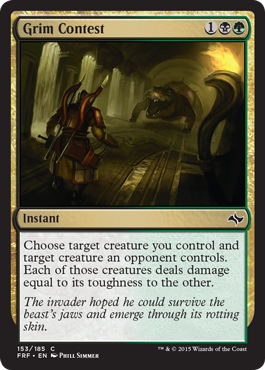 Abzan Beastmaster will come in handy, especially given that Bolster and Abzan care about toughness. Lifelink is good. 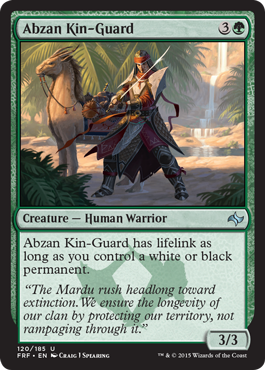 Abzan Kin-Guard is a must. 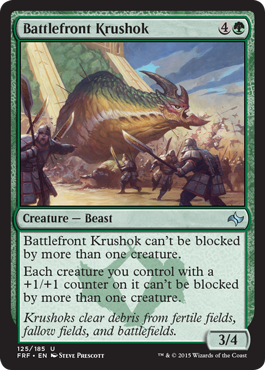 Battlefront Krushok is good because with Bolster, many of your creatures will be able to force multiple blockers. 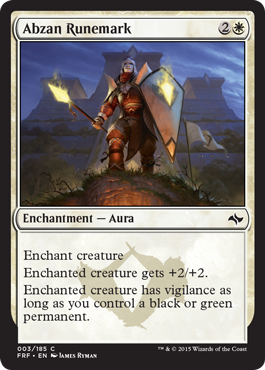 Cached Defenses is good because Bolster seems useful and three mana for three +1/+1 counters is great. Fruit of the First Tree is life gain and card draw. It may depend on your creature dying, but consider it a life insurance policy on your creature. Ruthless Instincts works either when attacking or blocking. I definitely like its applications. 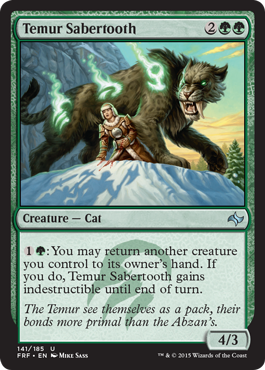 Temur Sabetooth being indestructible by returning another creature you control to your hand (or taking back a creature and opponent stole) is good. Maybe not something to use all the time, but good to have options. 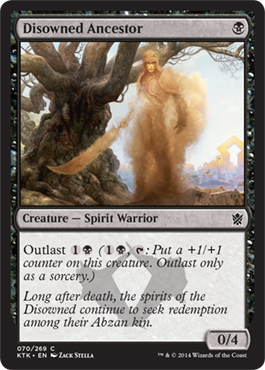 Fog, but better because you can instead just prevent an opponent's damage so anything you do gets through and creatures your opponent's control can die. 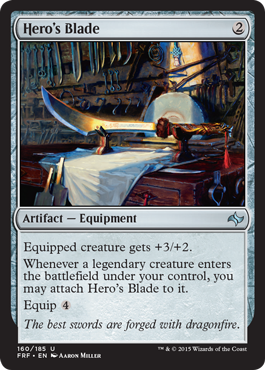 Hero's Blade may be a four mana equip, and you might not see a legendary creature (there are 10 at rare level...), but +3/+2 still isn't bad. I'd consider running it because it could improve a creature or help trigger a Ferocious spell if you have one (i.e. 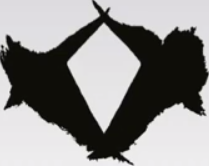 Winds of Qal Sisma). Pilgrim of Fates... A fatty, but powerful. I'm on the fence, but I'd probably use him. You'll get 3 or 4 rares (1 per pack plus the foil promo) from Fate Reforged, and if you get any of these, strongly consider using them. 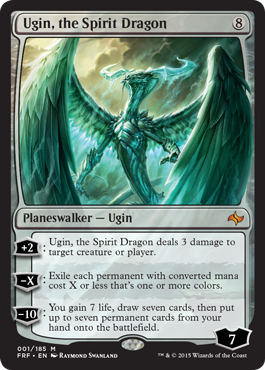 Ugin because Ugin. Planeswalkers in Limited are bonkers. Sieges are good. 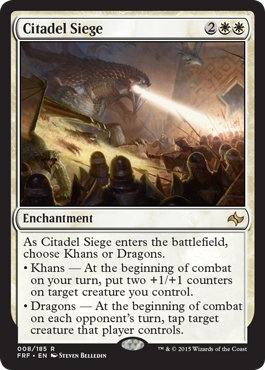 Khans is especially great here because everything you will do will depend on power, toughness, and attacking. 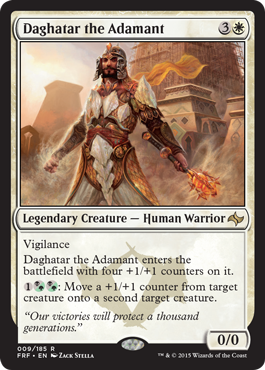 Daghatar the Adamant is Abzan's Khan. Moving around the +1/=1 counters generated by Bolster is definitely good. Dragonscale General is important because you can bolster every turn. Just tap a creature every now and then (attacking with a flying creature is a good way to set this off). 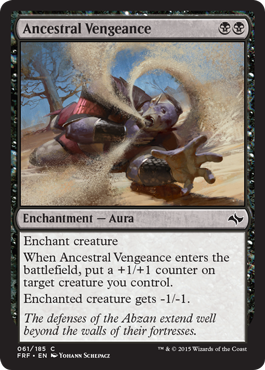 Archfiend of Depravity forces your opponent to sacrifice creatures before you begin your turn and attack. 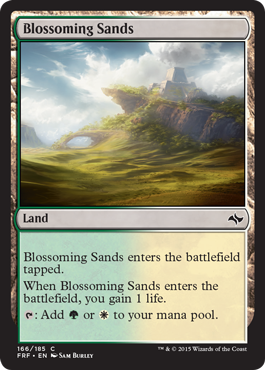 This clears the way for any creatures without evasion like flying. 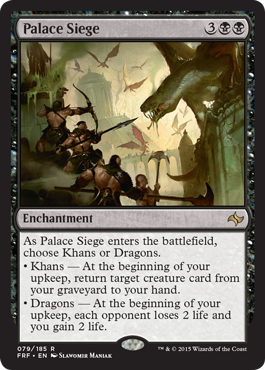 Choosing Dragons on Palace Siege is probably the best option for Abzan's tactics for the life gain and damage. 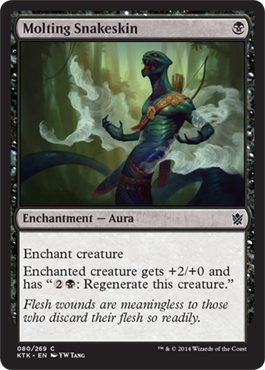 Shamanic Revelation is good card draw later in the game and also serves as a life boost to help you stay alive longer to win the game. 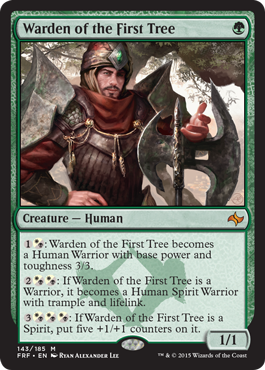 Warden of the First Tree might be my favorite card in the set and is a must have if you play Abzan and are able to pull one. A 1/1 turn one can quickly turn into a 3/3 on turn two, etc. And last, but not least, Dromoka, the Eternal. A 5/5 for five mana with flying and bolsters every time it attacks. What's not to love? 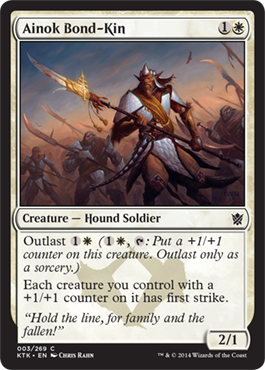 First strike and Outlast make Ainok Bond-Kin a great creature to have. 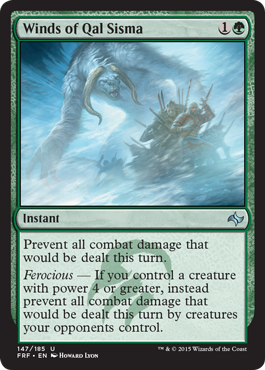 Suspension Field allowing you to take out big threats is also pretty good. And then we get to Disowned Ancestor. 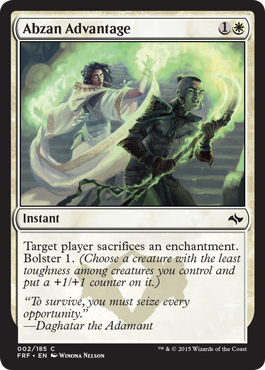 A 0/4 for one mana may not be the direction you want to go, but while you put other creatures on the field, you can boost Ancestor with Outlast. 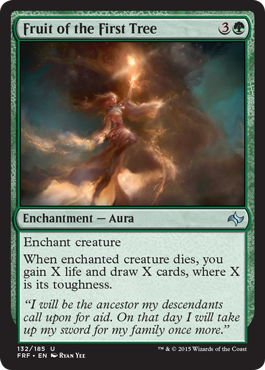 +2/+0 and Regenerate is good. 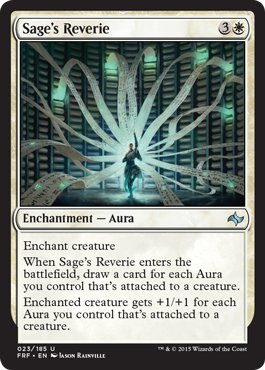 Having it on an enchantment, you help out Sage's Reverie. Great to have. 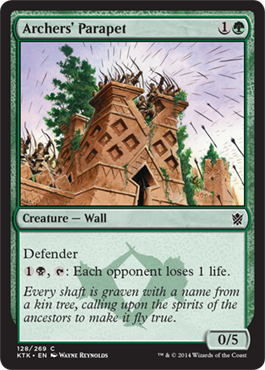 Archers' Parapet may have defender, but you can block a creature and take away some life from an opponent. 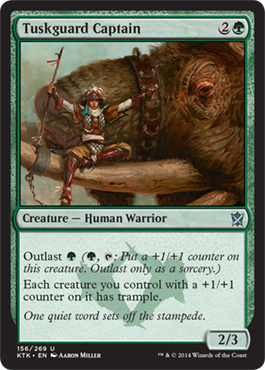 Tuskguard Captain has a cheap outlast ability but also gives all creatures you control with +1/+1 counters trample. Between Outlast and Bolster, you'll have powerful creatures. 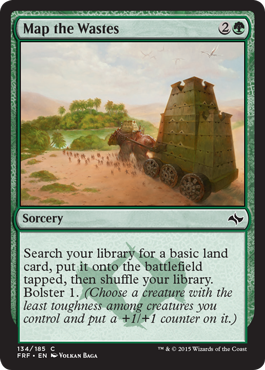 Abzan Charm is great because it has options. And placing +1/+1 counters helps out those KTK creatures that give an ability to creatures with +1/+1 counters. 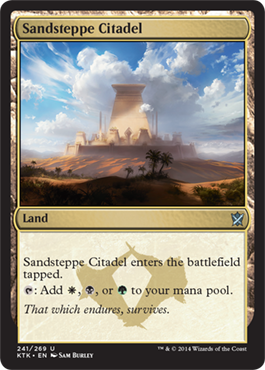 Abzan Banner and Sandsteppe Citadel are important mana fixing. That's pretty much it. Now, you may wonder why I haven't included rares or mythics. 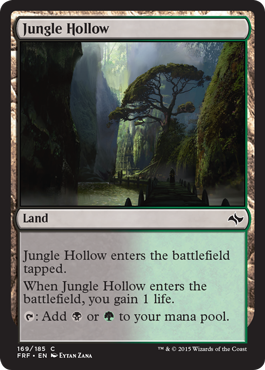 In limited formats like Sealed (which the prereleases are), rares and mythics take a back burner. It's time for commons and uncommons to shine and rares get a supporting role. 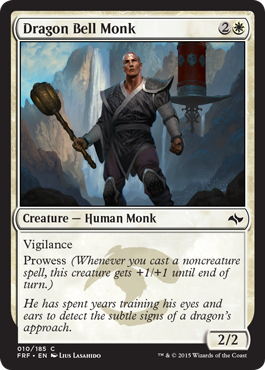 I went over the important ones from Fate Reforged because they're new and one of them could be your promo which would be great for you to use. There are also less of them to cover, unlike all the ones in Khans of Tarkir. 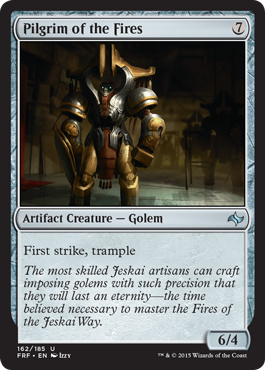 Now that you've stepped into the realm of Abzan, join us tomorrow when we explore the Jeskai clan and what to look for if you choose to follow them into the prerelease.